YEAR ROUND FAMILY LAKE HOME OVER LOOKING CHAUTAUQUA LAKE AT THE MOUTH BEMUS CREEK. YOU HAVE YOUR OWN JET SKI BOAT LAUNCH RAMP. THIS FAMILY HOME HAS MANY YEARS OF FAMILY MEMORIES, FAMILY HAS GROWN AND MOVED OUT OF AREA. IT'S TIME FOR A NEW FAMILY. 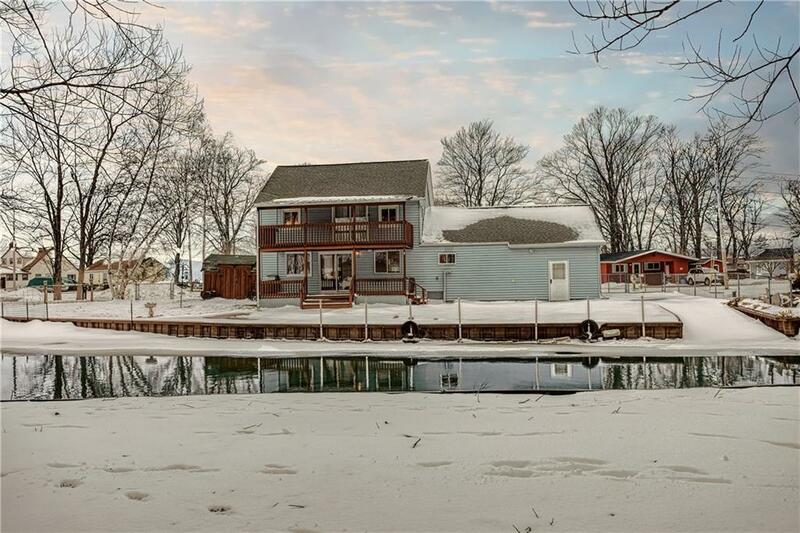 THIS MOVE IN HOME WITH 145 FEET OF CANAL FRONTAGE AND DIRECT LAKE ACCESS / VIEWS. WALK TO BEMUS POINT RESTAURANTS / GOLF / TENNIS. FAMILY LAKE LIVING AT IT'S.